Dr. Amy Gilman and her family visited Madison to meet with staff and make arrangements for their move in September. 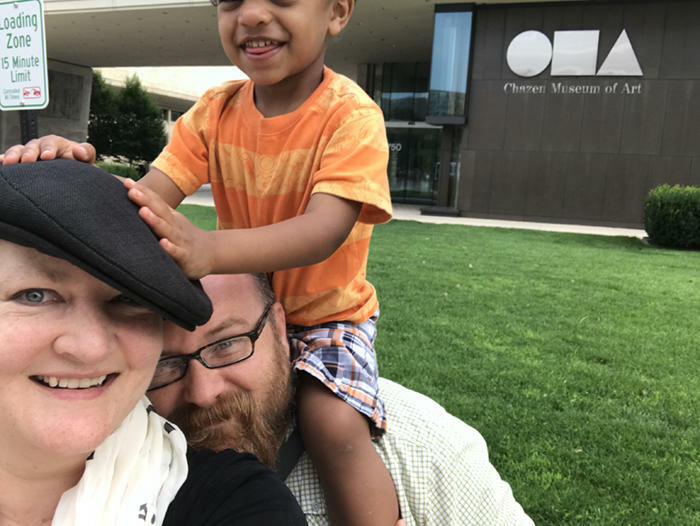 Back in September, Dr. Amy Gilman said goodbye to the Toledo Museum of Art and hello to her new position as the Director of the Chazen Museum in Madison. While taking on the direction of a major museum is can be daunting, you would never know it by Gilman’s attitude. In fact, she says that it's everything you want a new challenge to be. Material culture contributor Gianofer Fields speaks with the Chazen Museum director, Dr. Amy Gilman. Material culture contributor Gianofer Fields curates the Radio Chipstone series. The project is funded by the Chipstone Foundation, a decorative arts foundation whose mission is preserving and interpreting their collection, as well as stimulating research and education in the decorative arts. 2017 marks the centennial of Wisconsin’s State Capitol. But rather than focusing on the building, Madison Artists Brenda Baler and Bird Ross chose instead to focus on a statue that has been greeting and encouraging the women of Madison since late 1895. 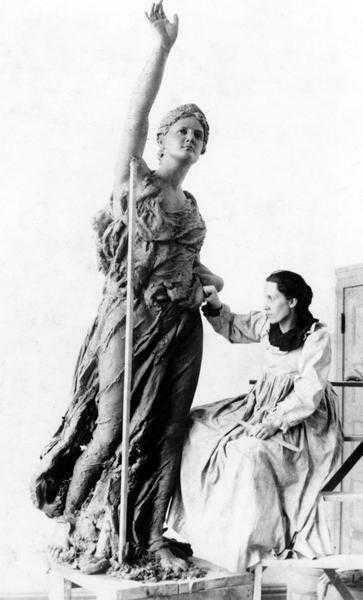 Funded by women across the state, the statue, called Forward, was sculpted by Jean Pond Minor and holds court at the Capitol’s east entrance. 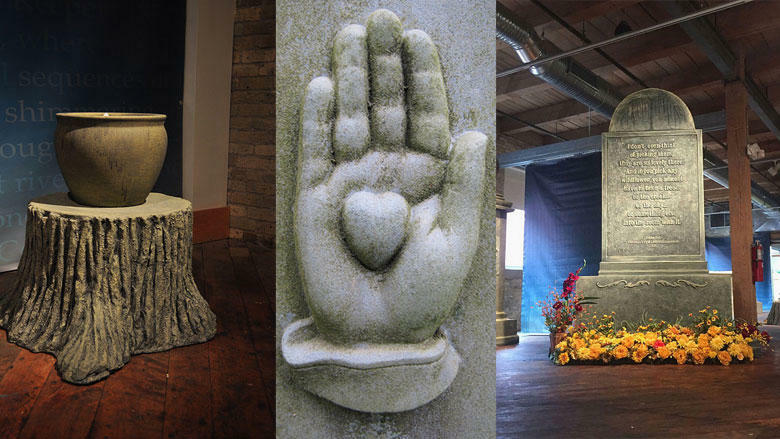 Terese Agnew is a Wisconsin artist who, in collaboration with a number of artists, created Writing in Stone, an exhibit designed to foster questions about how we remember those who have gone before us. Film Director Wendy Schneider says having a relationship with subjects and people who are involved in projects she's doing has to make sense to both her heart and spirit. As a director, she wants to satisfy the audience with the story and content she believes in and trusts. Sometimes the things passed down from a father to a daughter belong to a larger family - a greater community. 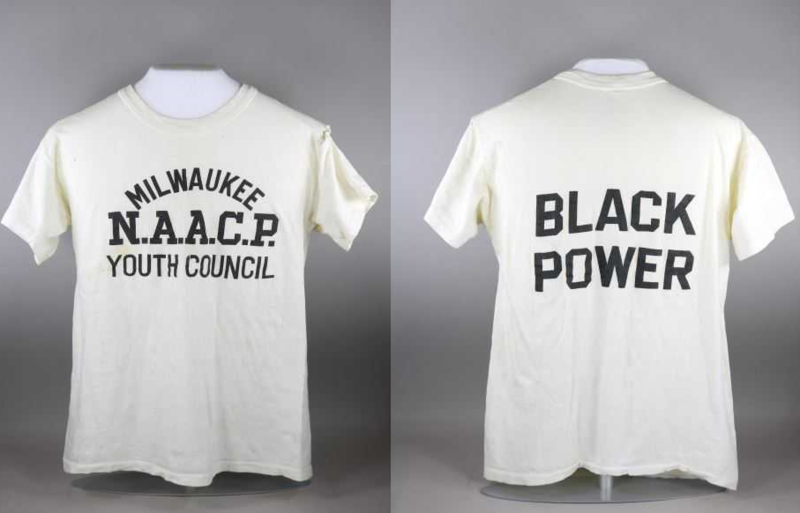 The object in question is a t-shirt worn by Lee McGhee, who was a member of the N.A.A.C.P Youth Council. Together with Father James Groppi, he participated in the 1967 March on Milwaukee.